When you have an accident that is not your fault, you have the right to claim your losses back from the “AT FAULT” party. This is covered under “TORT” LAW. When you have a TORT made against you, it means that your are the INJURED PARTY . This does not necessarily mean you have personal injuries, it means you are the injured party and have suffered a financial loss as a result of the AT FAULT parties negligence. All claims , whether under a TORT or whether claiming directly through your insurance company are about claiming for a “PECUNARY” loss. This is claiming for the “FINANCIAL” loss you have incurred that will bring you “RESTITUTION” IE. The amount of money it will take to put you back in the situation you were in prior to the loss occurring. Coles v Hetherton: implications for recovery actions the Court of Appeal delivered the long-awaited judgment in the case of Coles v Hetherton  EWCA Civ 1704. As anticipated, its conclusions are likely to have wide-reaching implications for the insurance industry and may impact on every level of case, from the modest county court claims that were the subject matter of Coles itself, to multi-million pound property damage disputes. The case comprised 13 subrogated claims brought by policyholders who had taken out motor insurance with Royal Sun Alliance (‘RSA’). Although the claims were brought in the names of the policyholders, the real dispute was between RSA, and Allianz and Provident as insurers for the defendants. In each, a road traffic accident had occurred for which liability was admitted. However, the way in which RSA arranged for their insureds’ damaged vehicles to be repaired led to a significant dispute on quantum. The repairs were carried out by a garage for a certain amount, usually not exceeding a few hundred pounds. The work was then invoiced to RSA by a wholly owned subsidiary from within the RSA group acting, in effect, as a middleman between insurer and repairing garage. The invoice it produced was invariably higher than the amount charged by the repairing garage. RSA contended that it was entitled to recover the higher figure, because it was still a reasonably priced repair. Allianz and Provident opposed in strong terms. They said that the policyholders who claimed for sums in excess of the actual amount charged by the garage had failed to mitigate their loss. 2. Does it make a difference if the repair is organized by an insurer, as opposed to the Claimant himself? 3. If an insurer indemnifies an insured in respect of repairs (which, as in this case, may include sundry incidental or administrative expenses) is the total amount recoverable, provided it is still reasonable? RSA succeeded on all three points. On the first, and main, issue, the Court of Appeal found that the proper measure of loss was the diminution in the value of the damaged chattel. That loss occurred immediately at the time of the accident so could not be mitigated by having the chattel repaired at a lower cost. Provided the claimed cost of repair was not unreasonable therefore, it was recoverable. Further, it made no difference that the Claimants were backed by insurers. The reasonable cost of repair was the cost the Claimant could have obtained on the open market: it did not matter that his insurer might have been able to obtain a better rate through its industry connections. Equally, provided the final amount claimed was reasonable, it could be recovered even if it did include sundry additional expenses. The foreboding with which these conclusions have been met by insurers highlight the advantages they offer to policyholders who find themselves in the position of having to make a claim. As long as they can show the sums sought are reasonable (or perhaps, not unreasonable), they will be recoverable. There appears to be no obligation on the policyholder – even if he is backed by an insurer – to obtain the cheapest quote. That would seem to pull the rug out from under insurers who might otherwise have sought to argue that a lower quotation ought to be preferred. It would seem to apply regardless of whether the chattel has been repaired. Assessing the ‘reasonable’ may create its own complexities. It should be noted that in Coles the RSA invoices were, for the most part, only around 25% higher than those provided by the repairing garages. Claims which are obviously excessive will still be cut down. The Courts will no doubt be alive to the advantages offered to Claimants by Coles and may react adversely if they feel that the judgment is being used to justify overinflated claims. For that reason, it will remain important for loss adjusters who have conduct of repairs – particularly in high value claims where expenditure will be closely managed – to be mindful of the need to ensure that the final bill is kept within reasonable limits. It remains to be seen how long Coles will remain good law. Defendant insurers are likely to challenge it at the earliest opportunity. However, for the time being, it would appear to be a forceful friend to policyholders pursuing a recovery. Because you have now been deprived of the use of your vehicle, you have the lawful entitlement to arrange for another vehicle or alternative transport to use whilst being deprived of yours. This area of claim, is covered under “uninsured losses” these are areas of a claim that are not covered under a contract of insurance that you may have in place. This means you can claim for any legitimate loss you have sustained as a result of the accident. You can claim for Taxi’s ,bus fare’s or any alternative transport that you have had to pay out for, or any out of pocket expenses. The main area claimed is for the direct loss of use of your vehicle. You are entitled to hire a vehicle, and claim this back from the “AT FAULT” Insurer. The cost of hire must be “reasonable” though. Ie in line with the market place. Most people cannot afford to hire a vehicle out of their own pocket and this is where “Credit Hire“. Credit hire is where a company will provide a vehicle of the same level(engine size, number of doors, status) for example, as the one you have. They will provide this vehicle “ON CREDIT” to you, this does not mean there is no charge, this does not mean they will get the cost of hire provided to you from the at fault party. This is like you hiring a car, and you paying for it on your credit card. You are wholly 100% liable for the cost of this vehicle. These companies MAY advised you that it is at no cost to you, but this is not true. There are certain criteria that must be fulfilled for you to be successful to claim. One of which is you must be “impecunious” or the term used is you are suffering from “impecuniosity“. This means you do not have the funds to have been able to have gone out and hire a car at your own expense. To successfully claim for a credit hire vehicle , you may be asked to attend court and provide your bank statements to prove you could not afford to hire one yourself. Another criteria is the length of claim, the courts see it as being reasonable to act in a way to mitigate loss,(ie not incur more loss than would have been necessary) This is a good and a bad thing. Some Credit hire companies that are not regulated work WITH insurance companies on a pre-agreed terms, this called the A.B.I G.T.A. The ABI. GTA is the Association of British Insurers General Terms Agreement. This is an agreement between insurer’s that Credit hire companies can join on a tier two agreement( insurer’s are tier one, claims management and credit hire companies are tier two). This agreement was originally put in place to control the cost of credit hire between insurers. Think of it as a gentlemen’s agreement, I won’t screw you on cost If you do not screw me. This on the one hand was successful, on the other acted in conflict to a consumers lawful entitlement (see Coles v Hetherton). Credit hire companies could also join this agreement, insurer ‘s agreed to pay these credit hire companies at pre agreed rates dependent on the class of vehicle and pay them within 60 days. This is fabulous for credit hire companies, as they do not have to fight on your behalf in court to get paid, and aids their cashflow. This is not always good for you. 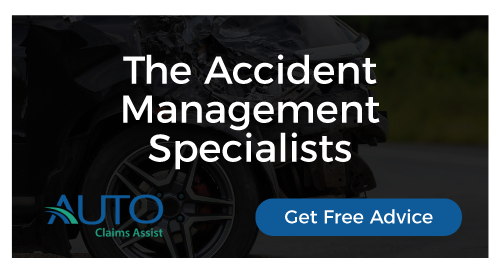 Should the Accident/Claims management or Credit hire provider decide your car is a total loss, they may apply a lot of pressure on to you to agree the market value on your vehicle. This may not be in your interest, as your vehicle may be worth more than is being offered. Only when settlement has been agreed, and when you have been provided the correct sum of monies that will enable you to replace your vehicle should the credit hire vehicle be taken from you. This does not mean you can hold on to the credit hire vehicle for as long as you wish, weeks months ect, but it also does not mean they can take the car away from you the next day or a few days later. You may have the funds to but the vehicle, but a reasonable amount of time must be given for you to buy one. For more in depth information on credit hire, the relevant case law is. Parry v Cleaver, Giles v Thompson, Dimond v Lovell, Clark v Ardington, Lagden v O’Connor, Bee v Jenson, Sayce v TNT, Bent v Highways, Copley v Lawn, Umerji v Zurich, Opoku v Tintas, Singh v Yaqubi, W v Veolia, Salat v Barutis, Stevens v Equity Syndicate Management, McAteer v Kirkpatrick, Smyth v Diamond, Salt v Helley, McBride v UKI, and Clayton v EUI Ltd, et al. Another criteria is the class of vehicle, cars are generally graded on engine size, amount of doors, and size of vehicle. Should you be provided with a Range Rover, when you were driving a Nissan Micra, then your claim would be unsuccessful. You cannot claim for that to which you are not entitled. Due to this, you DO need to be careful on the vehicle being offered. You may find the “AT FAULT” Insurer contacts you directly to provide a vehicle for you. This can be a good and a bad thing. I will cover this in the area “Claiming directly from the at fault insurer”.